As a steady stream of completed rental units trickles into the Midtown residential market just as construction begins on others and still others are proposed, the emerging market seems to have nothing but smooth sailing ahead. Currently, three Midtown rental projects are under construction – District 36, Midtown 5 and Pearl Midtown 29. Magellan Development Group’s Midtown 5 is a 24-story mixed-use tower set to introduce 400 apartments, 22,271 square feet of retail, 2,728 square feet of offices and a 450-space parking garage. District 36 is set to introduce 197 units. Both are likely to be open by the first quarter of 2017. Pearl Midtown 29 is set to introduce 309 units by the end of the first half of 2018. 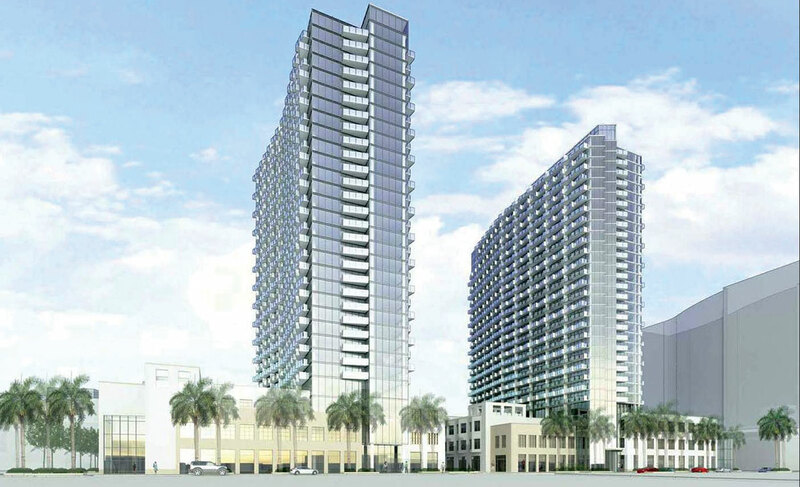 In July, Miami’s Urban Development Review Board recommended approval of Midtown 8, planned for 2901 and 2951 NE First Ave., north of Northeast 29th Street. The project includes a 28-story tower, 387 residential units, about 30,000 square feet of ground floor retail uses and an adjacent garage for about 520 vehicles. Midtown East has been proposed with 700 units. As of the second quarter of the year, there were 978 completed units in Midtown, according to an Integra Realty Resources market study. Current asking leasing prices in Midtown average $2,672, with an average achieved price of $2,580 and an average of 11 leases per month. “From a rental perspective, for a young professional, Midtown continues to be a really desirable place to live,” said Jonathan Mann, a broker with the Jon Mann Group at Coldwell Banker. Hyde Midtown, with 410 units at 3401 NE First Ave., is seeing an average price of $632,500 per unit at $575 per square foot and an average square footage of 1,100. “Inventory has accumulated, and asking prices have continued to drop in the existing towers – Midtown 2 and Midtown 4 – and sales in Hyde Midtown and other pre-construction towers were pretty much non-existent during the third quarter, including the cancellation of Boulevard 57,” Mr. Mann said. On Oct. 5, the Urban Development Review Board recommended approval of Midtown 6 and Midtown 7, to be situated side by side at 3101 and 3001 NE First Ave.
Magellan Development Group is also behind the two projects. Midtown’s desirability can perhaps be partly attributed to its location, he said. Buyers and renters who are priced out of Miami or South Beach have the option of moving to Midtown, where they are only a short drive away from the city or the beaches. However, whereas Miami Beach is considered gold in real estate, Midtown remains an outlier or emerging area, and when things start to stagnate, these areas tend to be hit harder than the beach areas.